The Smart System 20/20 gives you the power of state-of-the-art software in an integrated All-In-One 22” LCD and computer system. 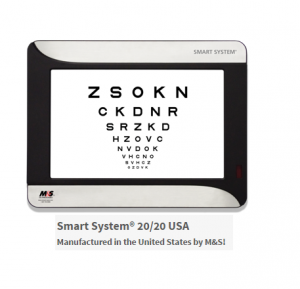 Smart System® 20/20 is the most flexible computerized visual acuity testing system available. The 20/20 system includes eETDRS, Contrast Sensitivity Testing protocols with normative data, electronic Low Vision Testing (eLVT), a variety of charts, rich multimedia and integration with the leaders in automated refraction technology. The 20/20 system provides all of the features and functionality of Smart System in an easy-to-install integrated computer and monitor, all developed and manufactured right here in the US. This is very important in assisting your Optometrist to detect and measure any changes to your retina each time you get your eyes examined, as many eye conditions, such as glaucoma, diabetic retinopathy, and macular degeneration is diagnosed by detecting changes over time. The iVue OCT is an amazing addition to our office's line of advanced technology. With digital imaging through our iVue OCT, we can assess the health of your retina, optic disc, and the cornea at a detailed level to help detect signs of eye disease. 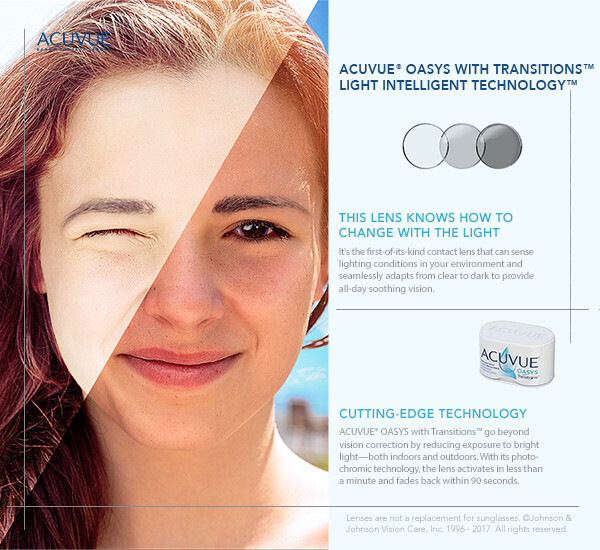 Our patient's eye health through an iWellness Exam, via the iVue system, is quick, comfortable, and records an in-depth look at the health of your eye. The value to identify early signs of disease before they may be noticeable on a clinical exam can save your eyes from potential vision loss. While a traditional ophthalmoscope allows the optometrist to see only 10 degrees of the retina at any given time, the new Daytona technology allows us to see almost the entire retina capture a highly detailed image of over 80 degrees of the retina in one picture. Additionally, the high-resolution digital images can be easily stored for later use in the patient’s history. The scan provides the doctor with a baseline of a patient’s retinal health and which they can refer back to this at other points during their care to see if the retina is deteriorating or maintaining health by referring back to this baseline. Daytona retinal scan technology is now available at In-Sight Optical and could be a part of your comprehensive eye examination. Our topographer provides uncomparable detail about your cornea's health & composition, allowing our eye doctors to diagnose & treat various conditions, especially dry eye conditions. Although topography helps the fitting of specialty contact lenses, the exceptional accuracy through mapping of the cornea can capture the makeup of the tear layers. By identifying the breakup time of tears, by their specificity and sensitivity, our dry eye experts can detect & measure the progression of dry eye disease in each eye. Through dynamic illumination & controlled light intensity, a LipiScan can produce enhanced images of a patient's meibomian gland structure or the internal glands that are in the rim of your eyelids. MGD or meibomian gland dysfunction is the leading cause of dry eye disease, and through a LipiScan, our optometrists can analyze the meibomian glands and determine the specific treatment required to restore proper tear production. 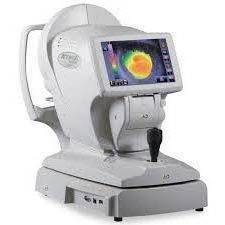 The CV-5000PRO is a high standard automated phoropter that offers all the latest features in automated refraction. It features a high-speed lens chamber, small optical head and can be operated through several controllers. Compact and contemporary design enhances the professional image of the practitioner. 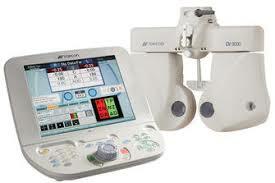 To perform near tests, near chart illumination is incorporated into the CV-5000PRO. The machine is equipped with a large color LCD touch screen display, providing the best overview on refraction results in the market. Say goodbye to having to hear, "which is better, 1 or 2?!" For a greater customer experience, Topcon now offers the unique combination of Kerato-Refractometer and a Corneal Mapping system in one device to improve the flow of eye exams. The KR-800PA provides you the most reliable and accurate corneal analysis by making use of the Infra-red LED placido ring and its sophisticated measurement principle. 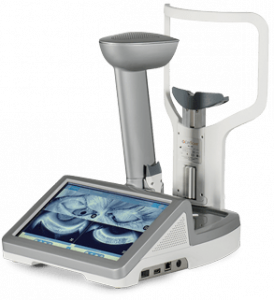 It includes Topcon’s patented Rotary-Prism technology for quick and precise refraction and keratometry measurements.